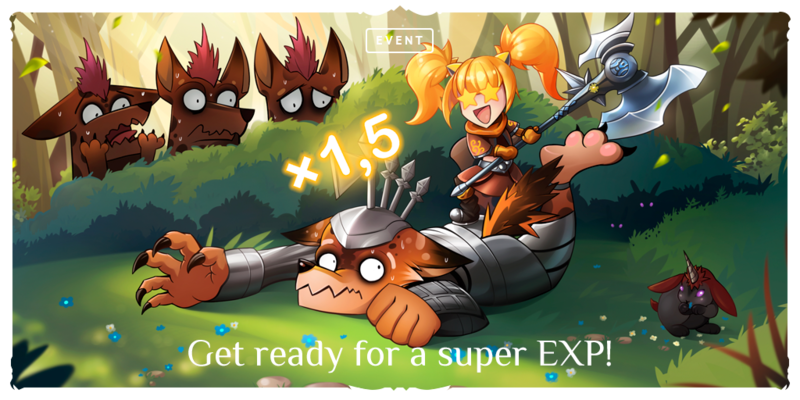 [07.11.2018] Get ready for a super EXP! Discussion in 'Archive' started by Yumi, Nov 7, 2018. The old-timers of Lineage 2 Classic exactly know that the path to 76 lvl and the Third Class Transfer is long and hard. x1,5 event can help Skelth's players to conquer new peaks in high lvl content. From the 7th of November to the 27th of November on Skelth a bonus setup will be on. Exp and SP gaining will be x1,5 (*except for exp and SP, obtained with the fishing and quests)! Also during this time a reward for the "daily hunt" and "weekly hunt" quests will be increased. You will get for this quests either two Special Dragon's Fruit and two XP/SP Scroll - Normal or two XP/SP Scroll - Medium (depends on the character's lvl). Wilczka, 1Shadow9Fists, Mbaka and 2 others like this. https://eu.4gameforum.com/threads/659836/ when this will be live? admin told me later in this day. Whats happening, event not up yet ?